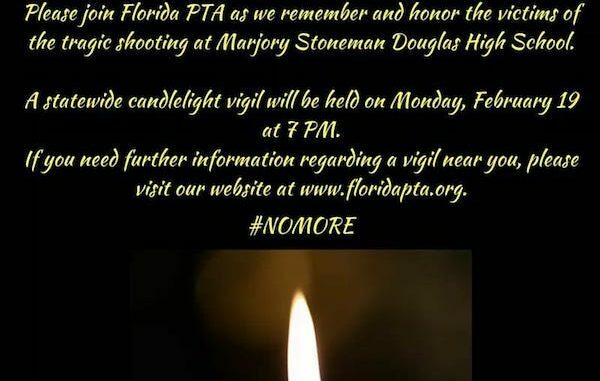 Indian River County Council PTA would like to invite everyone to a nationwide vigil in honor. VERO BEACH – The Indian River County Council PTA would like to invite everyone to a nationwide vigil in honor of the victims of Wednesday’s Marjory Stoneman Douglas High School shooting. It will be Monday, February 19th at 6:45 PM at Vero Beach High School’s Livings Stadium located at 1707 16th St, in Vero Beach. There will be a few speakers that will give meditation. Please consider wearing a red shirt; the school colors are red and gray. There will be a limited number of candles provided, so please feel free to bring your own. This event is open to anyone and everyone. 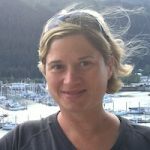 The vigil will begin promptly at 7 pm, so please give yourself plenty of time to get settled.